← New Opportunities for Justice in Sri Lanka? Alex Whiting joins JiC for this incisive guest-post response to Dov Jacobs’ recent analysis of the ‘legacy’ of the Katanga judgement. Alex is a Professor of Practice at Harvard Law School where he focuses on international and domestic prosecution issues. He previously worked as a prosecutor at the International Criminal Court and International Criminal Tribunal for the Former Yugoslavia. 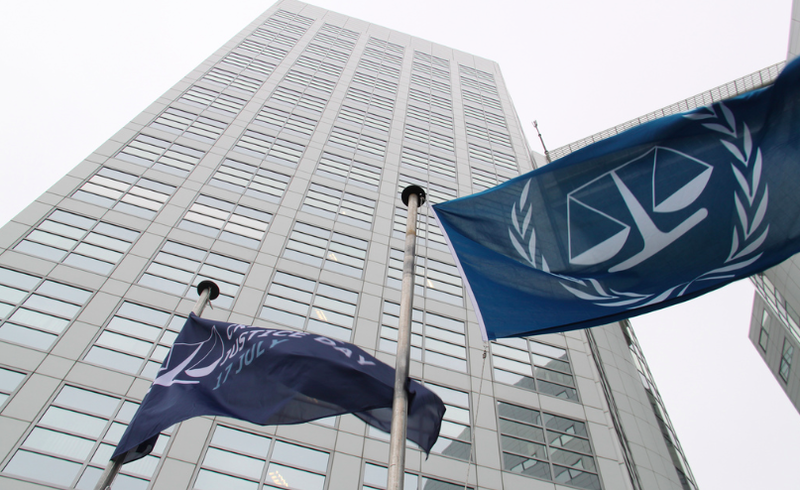 Dov Jacobs has written an interesting, thorough, and provocative analysis of the recent Germain Katanga judgment at the International Criminal Court (ICC). I appreciate his insights and contributions to the ongoing debate about the case and its legacy. However, in this post, I want to push back on just a few of the points he makes. I think that Dov in his post is a bit too hard on the Office of the Prosecutor (OTP) at the ICC, and unfairly so. Like Kevin Jon Heller, he describes the Katanga case as “another failure” for the OTP (Kevin described it as a “terrible day”). Really? 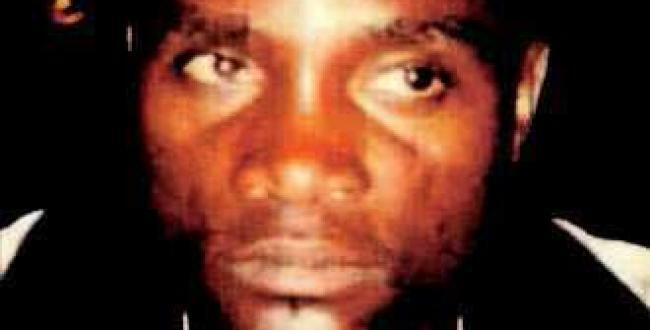 The prosecution alleged that Germain Katanga was criminally responsible for crimes committed during the attack on Bogoro in the DRC on 24 February 2003. The result? The Chamber found him criminally responsible for some but not all of the alleged crimes. A failure? Hardly. It is true that the Trial Chamber convicted Katanga under a different mode of liability than the one advanced by the prosecution, but it is not an infrequent result of international criminal trials, or domestic criminal trials for that matter, that an Accused is convicted of some but not all charges, or is convicted of committing the offense in one manner but not the other. That is part of the purpose of a trial. And none of the “controversy” surrounding the Trial Chamber’s adoption of an alternative mode of liability would have arisen if the prosecution had been allowed to charge in the alternative from the beginning. Dov’s critique does not stop there. He is pretty damning about the OTP’s entire record to date – describing it as “bleak” – and the course that the OTP is now on under the new Prosecutor, Fatou Bensouda. Of course, we all view the ICC from our own perspectives and with our own biases. I come to the subject as a former prosecutor with the ICC and the ICTY, but I have repeatedly said that the OTP needs to do better and learn from its mistakes. Still, I don’t think the record is quite as “bleak” as Dov makes it out to be. He cites the cases of four suspects that were not confirmed by the Pre-Trial Chamber, but does not mention that ten suspects had their cases confirmed (an additional two cases are pending confirmation decisions). One Accused was acquitted (Ngudjolo), but two have been convicted (Lubanga and Katanga). Perfect? Certainly not. Bleak? No. At all of the modern international criminal tribunals there have been cases that have not succeeded. More specifically, Dov piles on with the now familiar criticisms of the OTP’s investigations. Again, I’ve repeatedly acknowledged that the OTP has made some mistakes along the way and that it continues to learn from those mistakes and is adjusting its practices. But here again I think Dov overdoes it a bit in his attacks on the OTP. Dov relies almost entirely on judicial criticisms of the OTP, apparently assuming that the judges are always right (at least on this subject). Of course, since the judges are the ultimate authority, the OTP will have to adjust to what the judges expect, unless it can persuade the judges to modify their views. But we should not assume that the judges are always right in their assessments of the work of the OTP. For example, in the Pre-Trial Chamber’s decision on confirmation in the Mbarushimana, the Chamber criticized the OTP for asking so-called “leading questions” of insider witnesses. The Chamber failed to recognize, however, that the interviews generally started with open-ended questions and that the investigators only pressed the witnesses later in the interviews when it appeared that the witnesses were not focusing or were not forthcoming. In addition, the judges do not seem to have appreciated that in many instances insider witnesses, who are usually loyal to potential suspects, will be reluctant to provide information, and that therefore it will often be necessary to press them and confront them in order to get them to answer questions truthfully. This is a complicated business with plenty of risks, to be sure, but it is a bit simplistic to say that investigators can only ask open-ended questions. In the Laurent Gbagbo case, the majority of the Pre-Trial Chamber criticized the quality of the evidence presented by the prosecution for confirmation. But it also revealed that it expected the prosecution to be essentially finished with its investigation by the time of the confirmation hearing and to present its best evidence at that stage. This perspective on the confirmation stage is highly contentious and largely collapses the difference between the confirmation and trial phases. For these reasons and others, Judge Fernandez dissented from the PTC’s decision. The “criticisms” of the two majority judges were therefore informed and colored by the (in my view unreasonable) expectations that these judges had for what should occur at the confirmation hearing. This brings me to another small point about Dov’s analysis. At moments he is a bit selective about which judicial decisions he cites. It would be one thing if he relied always on the decisions of the majority, but he cites again and again the dissent of Judge van der Wyngaert in the Katanaga case. But he never mentions the dissent of Judge Fernandez in the Gbagbo case, which contained a devastating critique of the majority’s approach, or the dissent of Judge Monageng in the Mbarushimana case, in which she concluded that in fact the prosecution had submitted sufficient evidence to warrant confirmation of the charges. I assume that Dov cites those judicial opinions, whether they be in the majority or in dissent, that he agrees with, but it is worth acknowledging that even the judges are not uniform in their views of the prosecution. Looking to the present and the future, Dov is unfair to the current Prosecutor. He is completely dismissive of Bensouda’s new announced approach to investigations and claims that “nothing has changed at the OTP.” But institutions like the OTP take time to change. It is rather more like turning a super tanker in the ocean than a little speedboat. So it is much, much too early to judge. It is worth noting that not a single case initiated by Bensouda has yet made its way through the process, so on what basis is Dov concluding that nothing has changed? As for the ongoing cases, to the extent adjustments are possible, it will take time for new approaches to manifest themselves in results. And it is a mistake to focus solely on the OTP, because the OTP is dependent on the work of the other organs and States to succeed. Have those other actors done all that they could to allow the OTP to succeed? Several of the OTP’s cases have been undermined by failures in witness care and protection. What more can the Registry do in this area? A consensus has also developed that the Assembly of States Parties (ASP) has not provided sufficient resources to the OTP to allow it to investigate effectively all of its cases at the same time. Last year, the ASP increased the OTP’s budget. But it will take some time before the OTP can hire and integrate new investigators. Thus it does a disservice to the institution and to the international criminal justice project to announce already at this stage that the new Prosecutor and her team have done nothing to improve the work of the OTP. Give them a chance. Before pushing back, let me say that there is an aspect of Dov’s critique that I very much appreciate and I believe is critical to the discussion. He is correct when he says that there is always a risk that the “mission” of the international criminal tribunals to “fight impunity” will swamp the rights of the defense. It is essential that everything be done to guard against this tendency. And I have no doubt that at the margins there have been instances where the judges have been overly indulgent towards the prosecution, particularly in the early years of the ad hoc tribunals. But once again Dov’s broad critique simply goes too far. First off, it is somewhat in tension with his earlier points about the failures of several cases at the ICC. 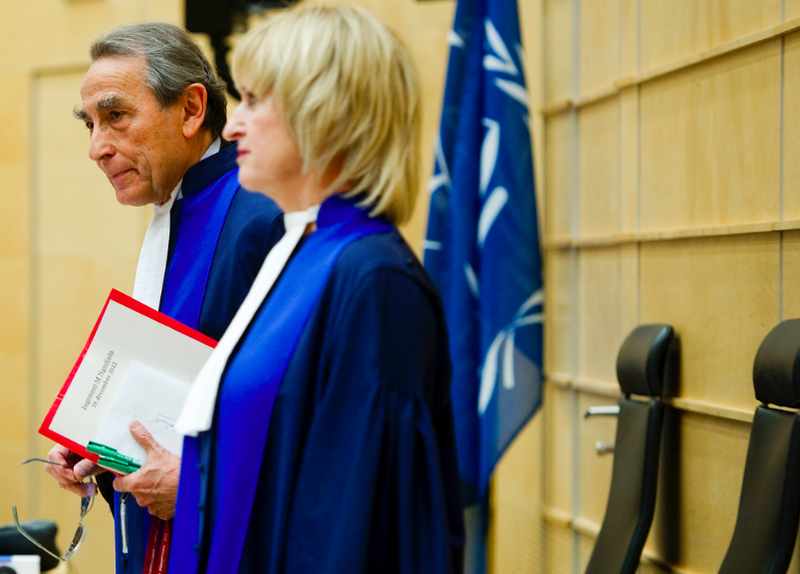 Isn’t the fact that the judges at the ICC have refused confirmation in four cases and acquitted one Accused some evidence at least of a seriousness about process and the rights of the defense? Likewise, at all of the ad hoc tribunals, there were complete and partial acquittals. Further, in my experience, there exists a deep and genuine concern for the fairness of trials that is widely shared among judges, prosecutors and defense counsel. There may be disagreements on what fairness requires, but no failure to understand the importance of fairness for the Accused and the institution. Finally, stepping back for a moment and looking at all of the modern tribunals, can we really say that their work lacks legitimacy? It is not enough to say that the Accused at these institutions should be convicted because they are “obviously guilty,” but when assessing the work of the courts does it really seem like innocent actors were convicted? Is there that kind of injustice in the results? And what about the process that has been afforded the accused? At all of the tribunals they have been represented (often by outstanding counsel), they have been given time and resources to investigate, they have been permitted to test and challenge the evidence, and they have been able to mount their own defenses. The proceedings have been long and very heavy on process. Again, this is not to say that that there haven’t been, and continue to be, issues on the margins. But at the end of the day, to quote an oft-quoted formulation from my country, the defendant is entitled to a fair trial, not necessarily a perfect one. Have the trials at the modern tribunals really been “unfair”? Have they been just sham trials designed to convict, as Dov suggests? I think this is a difficult contention to sustain. At the end of the day, Dov’s post demonstrates the need for even more discussion among those with differing perspectives, especially those coming from the prosecution side and those from the defense side. I suspect that there is more common ground between these perspectives than might first appear. Identifying that ground would be good for the debate as well as the international criminal justice project. At times, however, the gulf between the differing points of view seems very wide indeed. A longer version of this post, and one which covers the question of liability in the Katanga judgement, can be found at Dov Jacobs’ blog here. This entry was posted in Germain Katanga, ICC Prosecutor, International Criminal Court (ICC) and tagged Alex Whiting, Germain Katanga. Bookmark the permalink. Alex makes some good points, particularly concerning the ICC’s willingness to challenge the prosecution, but his defence of the outcome in Katanga is unconvincing, to say the least. As I pointed out in my post, because the TC rejected each and every legal allegation offered by the OTP, the only thing that stood between Katanga and freedom was the TC’s decision nearly a year into deliberations to consider his guilt on the basis of a mode of liability that had not been charged, had not been confirmed (indeed, had been specifically repudiated by the PTC), and had not been litigated at trial. How can that be in any way viewed as a success for the OTP? Moreover, with respect, it is simply false to claim that “none of the ‘controversy’ surrounding the Trial Chamber’s adoption of an alternative mode of liability would have arisen if the prosecution had been allowed to charge in the alternative from the beginning.” At no point in the case did the OTP ever allege that Katanga was liable under 25(3)(d); it simply wanted to charge him with ordering under 25(3)(b) as well as co-perpetration. So even if the PTC had been willing to confirm the charges on alternative modes of liability, the OTP would still not have argued at trial that Katanga was guilty of the substantive charges because he had contributed to a group crime. Finally, it is misleading for Alex to argue that “it is not an infrequent result of international criminal trials, or domestic criminal trials for that matter, that an Accused is convicted… of committing the offense in one manner but not the other. That is part of the purpose of a trial.” Really? Can Alex cite even one international prosecution — ever — in which a defendant was convicted on the basis of an uncharged mode of liability? Can he cite even one domestic case involving an adversarial trial in which that has happened? There is a reason the common-law states were uniformly opposed to giving the TC the power to recharacterize facts — such recharacterization may make sense in a non-adversarial, judge-led context, but it is fundamentally inconsistent with an adversarial trial, in which judges are supposed to act as referees, not as a second set of prosecutors. It it thus absolutely scandalous — or should be, if more ICL scholars cared about fairness — that the judges nevertheless adopted a Regulation that gave themselves precisely the same power that the drafters of the Rome Statute deliberately refused to give them. This is an excellent piece….especially the commentary about investigator questioning of insider witnesses. The Pre-Trial Chamber’s decision on confirmation in the Mbarushimana in terms of how interviews should be conducted is so divorced from the realities of investigation it is frightening. Kevin, I think that the way the case played out is partly the result of the regime adopted at the ICC whereby the PTC has required that only one mode of liability be confirmed at confirmation (which also may be dictated by the way the Regulations are written), with the understanding that Regulation 55(2) will allow a change in the mode during the process if warranted by the facts that are established. Regarding the unfairness of how Regulation 55(2) has been used, note that everyone knew this was the regime, including the defense, and therefore everyone knew throughout the process that other modes were potentially in play. But for reasons that I set out in the longer version of this blog post (over at Dov Jacobs’ blog, Spreading the Jam, http://dovjacobs.com/2014/03/20/guest-post-the-iccs-end-days-not-so-fast/), I think this 55(2) regime is the wrong way to go. It would be much better for everyone if the Prosecution were allowed to pursue alternative modes of liability from the beginning. If that were the case, I suspect that the Prosecution would generally charge two modes, 25(3)(a) and then 25(3)(d) as a backup, and perhaps also Article 28 (obviously if the facts support these alternatives). This was in fact frequently done at the ad hoc tribunals. It was with that assumption in mind that I wrote that this case was not different from other cases where alternative modes of liability were found by the judges. I agree of course that the Regulation 55(2) regime is unusual, though it does happen in adversarial systems that the jury will be instructed on a lesser included offense even if the lesser included was not charged from the beginning (which I appreciate is not exactly the same as the case here, but is an example of a defendant facing a charge at the judgment phase that he or she was not originally charged with). I completely agree that the OTP should be allowed to charge modes in the alternative. That would be much better than the horrific situation that currently exists in Ruto and Sang, where the TC has reserved the right to “recharacterize” the facts to convict under ANY mode of participation, Art. 25(3)(b)-(d). That possibility makes planning a defense impossible. And it also indicates why I disagree that the existence of R55 means Katanga has only himself to blame if he was surprised by the TC “recharacterizing” facts to convict on the basis of a mode of liability that the PTC assured him was not at issue in the trial. If the mere existence of R55 is enough to satisfy the notice requirement for any conceivable recharacterization, a defendant must plan a defence that rebuts each and every mode of participation, charged or uncharged, seemingly supported by the facts or not — which is not only practically impossible, but will also make trials even longer and more convoluted than they are now.